August is called the "dog days" of Summer. It is usually hot, and with nothing to celebrate, the heat makes the days drag. I am trying to take full advantage of it, by trying to complete something. 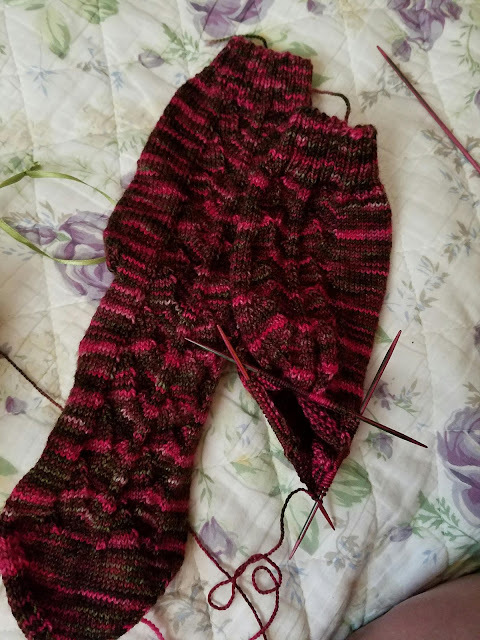 I have a sock and a half, and hope to finish it within a day or so. The sooner I am done with it, the sooner I can move on to another project. 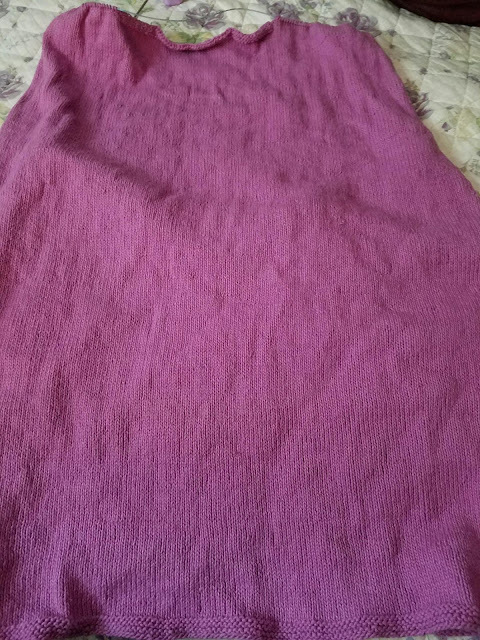 The front of my sweater is done, but I need to get started on the back. Then I have the mittens for Christmas, at least 2 pairs of socks for Christmas, and the birthday sweaters to do. Think I can get it all done? Yeah, I don't think so either, at least not this year.